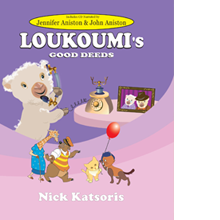 With all proceeds benefitting The Loukoumi Make A Difference Foundation. 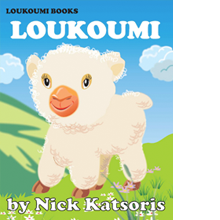 In this latest adventure Loukoumi and her friends learn the importance of preserving the environment. 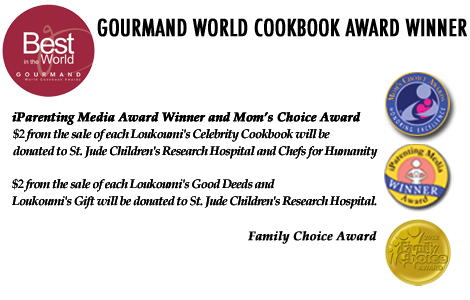 With all proceeds benefitting The Loukoumi Make A Difference Foundation. 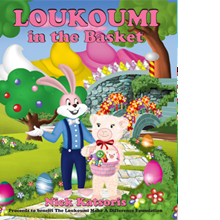 In this latest adventure Loukoumi meets the Easter Bunny and learns that the secret to happiness is in doing things for others. 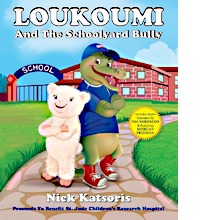 Oscar Winners Morgan Freeman, Olympia Dukakis & Oscar Nominee Nia Vardalos lead an all-star cast in the audio narration of the new Loukoumi And The Schoolyard Bully, which teaches kids that bullying is not cool. 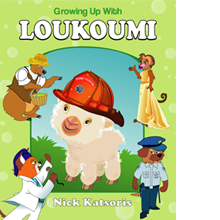 Loukoumi's Celebrity Cookbook includes the 5th illustrated Loukoumi storybook in which Cat Cora teaches kids how to cook followed by favorite childhood recipes from over 50 celebrities. 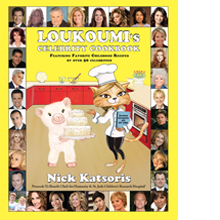 Perfect for cooking fun, LOUKOUMI'S CELEBRITY COOKBOOK will bring you and your family together over many fun-to-prepare meals. 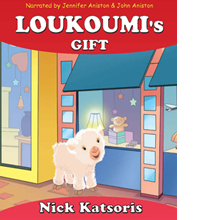 View the newest Loukoumi recipe of the month, from Grace, the winner of the Loukoumi Cooking Contest!